Short hair is trendy and the choices to accessorize short hair are many. You do not need to feel that short hair will get you stuck to one monotonous style, or narrow your choices to look gorgeous or trendy or chic or sporty as the occasion may demand. Read on to find out how you can use accessories to adorn your short hair to give it a new look every time with your dresses and style. These look best on short hair. 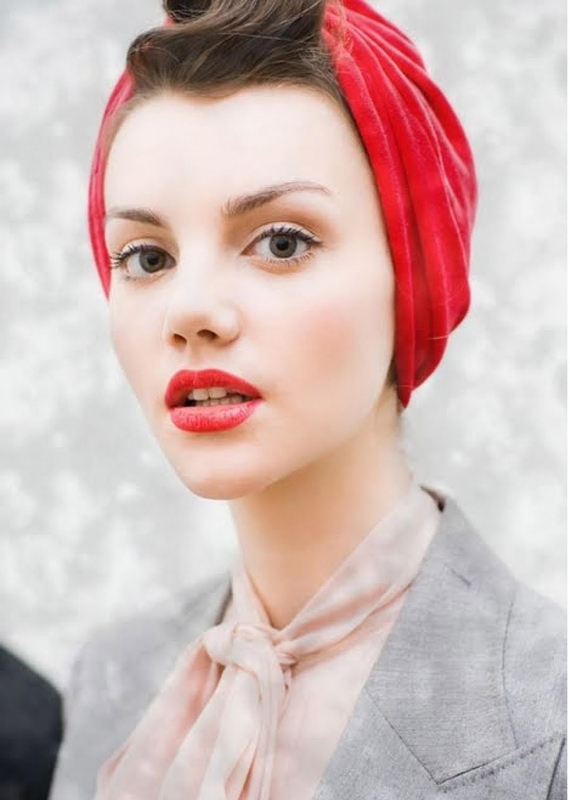 Tie a bandana or pretty scarf or a turban to complement your dress. It looks best with your slouch pants or harems, or a short cropped top and long skirt with a sleeveless jacket. At once chic yet ethnic, bandanas and scarves look good when you show a little hair on the top or as a side flick over the material. A girl’s best friend where managing hair is concerned. Bobby pins can be used to slick back hair from the face and tie it in place. Or you may want to sweep up the hair from one side and secure it to give it a glamorous look. Bobby pins help you to give dimension to your hair. For example, you can puff up the hair on the crown of you head and secure the loose ends with small bobby pins to add height. These are small or big clips with teeth on it like a comb. They may be simple combs in plastic of different colours or some embellished ones with rhinestone studded flowers for wearing with a gown or formal dress in weddings and galas etc. The combs are used to sweep up the hair and keep it in place. The comb or the teeth of the comb gives a puffed look to the hair. These are clips with teeth running on both ends of a lever. Claws are used to secure the whole hair or a portion of it in place behind the head. Extensions can be used to make the hair look longer or to add a few strands of longer hair to the shorter hair to give it a funky look. You could go for brightly coloured extensions or feathers to give it a dramatic look. Headbands are a way to tame the hair and keep it in place or keep it off your face depending on what look you want. You may want to wear a headband with a pretty bow or one with a veil to cover a portion of the forehead and a bit more to add mystery. Of course the choice will depend on the dress you are wearing. What Should You Look for in Hair Loss Products?